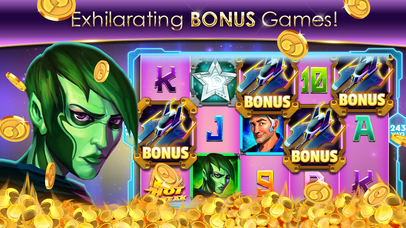 Come play the HOTTEST Vegas-style slots game around and experience EPIC WINS! Hot Streak Slots has been completely reimagined to bring all the glamour and excitement of casino slot machines wherever you go. Enjoy diamond-quality themed slot machines, from the exotic depths of Poseidon Rising to the intense ancient battles of Three Dynasties. Join in on the Vegas Slots fun today! Experience all the thrills of Vegas & Atlantic City with slot games that accurately replicate casino style slots, from the rewarding payouts to the fun BONUS GAMES! Come explore all the different slot games Hot Streak Slots have to offer, ranging from adventures in forgotten temples to haunting ghouls that stalk the night. New machines added regularly! Check back every day to spin the Daily Bonus Wheel and score HUGE WINNINGS! Also, don’t forget to check in often to collect even more FREE COINS! From the beautifully redrawn illustrations of each slot machine theme to the high-definition quality sounds of big wins, Hot Streak Slots brings the TRUE casino experience home! 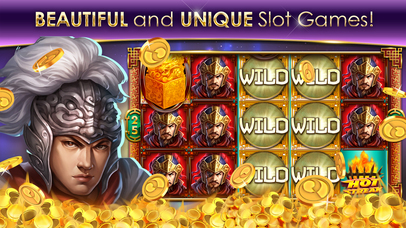 Join the FUN and collect puzzle pieces to unlock a cool artwork for all your favorite slot games! Play Hot Streak Slots on iPhone & iPad and start winning big today!